Macon Community news is a community driven news site designed to get out news about the people, businesses, organizations, schools and events of Macon and the surrounding Middle Georgia area. We are interested in stories that show a positive side of the area and encourage involvement in the community, support of local businesses and charities and bringing people together with a positive message. 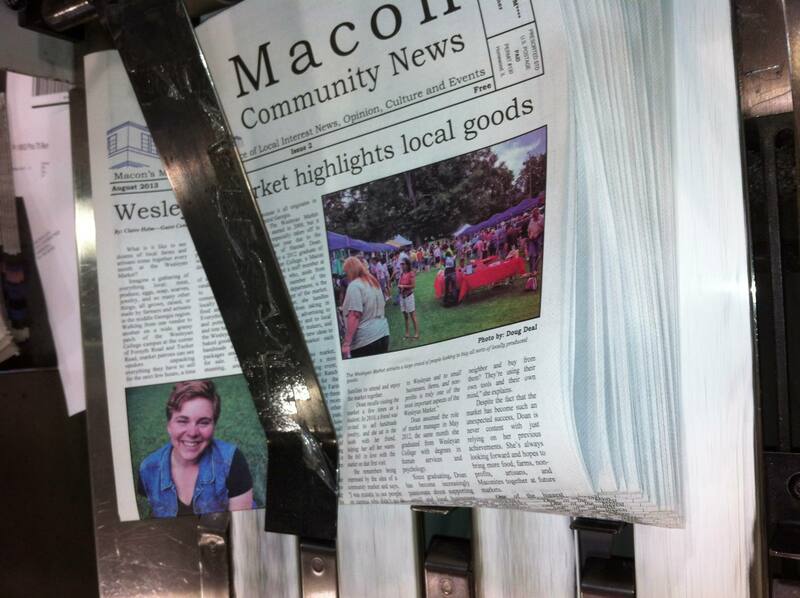 Even the print edition of Macon Community News needed the contributions of the people of Macon. We are here to share positive stories about Macon and Middle Georgia by the people of Macon and Middle Georgia. Photo by Doug Deal. If you have news that you would like to publish about your organization or school, please contact us about publishing a regular update on our site. Some examples include a matter-of-fact update about a recent meeting, a successful event or news about how to become a member. For schools, it might be a highlight of the month’s activities, a congratulation to students are faculty for winning an award or just an announcement of an event. We also want profiles of local businesses. If there is a local business that you like and want to publicize, we would love to run your article. If you have a jobs announcement or are just opening, let us know and we will do our best to share your news or publish your description of your business. Politicians who represent any portion of Bibb County or the surrounding area or candidates for those offices are also invited to submit op-ed that speak directly to the voters. We only ask that such pieces stick to issues and keep a positive message and we will publish them without introducing editorial content. Finally, we want writers who think they have something interesting for consumption by the readers of Macon and Middle Georgia. Especially reviews of entertainment and recreational activities, quick day trips, hidden gems, arts and crafts, and more. If you are interested, please send an email to contributors@maconcommunitynews.com, or navigate to our contribution signup page.